– US’s triple jump world silver medalist Will Claye talking about his rivalry with Christian Taylor and their world record attempt today at altitude in France. Dangers of too much protein. Be careful out there, folks! Who here can run under 60 for 400m? Do you regret shaving your legs now? 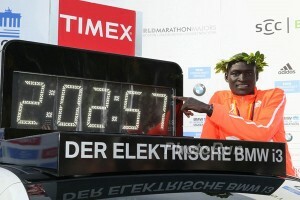 October 8: World Record Holder Dennis Kimetto Vs. Defending Champ Abel Kirui, Tirunesh Dibaba Vs. Florence Kiplagat Highlights 2017 Chicago Marathon Kimetto and Kirui also face half marathon WR holder Zersenay Tadese. Today: Triple And Long Jump WR Attempts At Altitude In Tignes, France Christian Taylor and Will Claye will go for the TJ while world champ Luvo Manyonga is in the LJ. There is $117,000 prize for a record, although it will have an asterisk since it’s at altitude. Good Read: IAAF Profile: Will Claye Hoping To Find The Right Beats In Search Of Triple Jump World Record Claye talks about how he hates to lose to Christian Taylor, his music career and today’s WR attempt. August 24: IAAF Zurich Diamond League Is Next Week Mo Farah will run the final track race of his career in the 5,000 while we’ll actually get to see Wayde van Niekerk and Isaac Makwala go head-to-head … unless Makwala gets the sniffles and the IAAF bans him from the stadium. September 10: Vivian Cheruiyot Vs. Mary Keitany Highlights Great North Run Half Marathon Betsy Saina and Jo Pavey are also running. August 27: World Javelin Champ Vs. Olympic Champ Thomas Röhler Highlights ISTAF World Challenge Meet World silver medalist Darya Klishina vs. 4th placer Ivana Spanovic in the LJ. 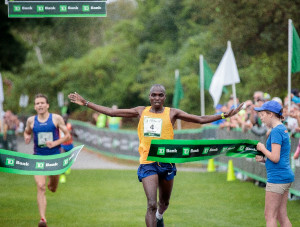 Sunday: Defending Champs Return To 45th Running Of New Balance Falmouth Road Race – Falmouth Road Race Men’s field also has Leonard Korir, Cam Levins and Abdi Abdirahman while Chepkoech faces Mamitu Daska, Diane Nukuri, Natosha Rogers and Neely Gracey. Saturday: Nick Willis Vs. Craig Engels To Headline Falmouth Elite Mile The field also includes Garrett Heath, Colby Alexander and Mason Ferlic while the women are lead by Nicole Sifuentes, Heather Kampf and Dominique Scott. Lodi Mile Results: Garrett Heath (4:02) And Leah O’Connor (4:39) Win 2017 Lodi Mile Heath won over Dan Huling and Trevor Dunbar. Video Usain Bolt Goes Out With Injury In 4 X 100 As Host Britain Pulls Upset Gold USA was 2nd and Japan 3rd. *MB: WHAT HAPPENED TO BOLT!!!!! Tori Bowie Leads US Women’s 4 X 100 To Gold In London Bowie became the first double gold medalist of these Worlds as she anchored Team USA to the win with UK and Jamaica taking silver and bronze. The Telegraph: Usain Bolt’s Exit Leaves Massive Void On The Track – What Next For Athletics? 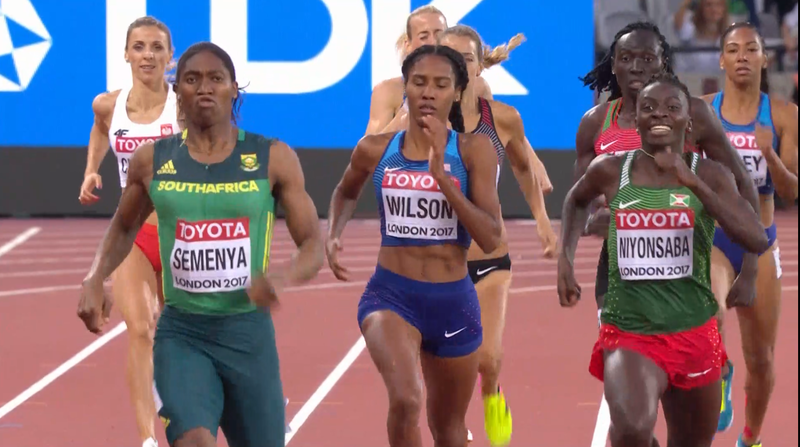 LRC Women’s 800 Semis: Brenda Martinez Goes Home, But Ajee Wilson, Charlene Lipsey And The Big 3 Advance The women’s 800 final is set and it will include the seven fastest women in the world in 2017 that ran in London, including the three medalists from Rio in Caster Semenya, Francine Niyonsaba and Margaret Wambui. LRC 1,500 Semis: Gregorek And Kenyan Favorites Make Final, Robby Andrews Bows Out With Calf Injury Sunday’s 1,500 final is set and the Kenyan stars and Johnny Gregorek will be in it, but not Robby Andrews. The Guardian: Can Any Jamaican Take On The Baton Passed On By Usain Bolt? It definitely hasn’t been a very good championships for Jamaica so far. LRC #Jumping60: After Another World Title, Christian Taylor Going To Mountains Of France To Try To Break Jonathan Edwards’ World Record (link fixed) The attempt isn’t called #Breaking60 but like #Breaking2 it will be held one of two days depending on the weather. LRC A Lifeline For Colleen Quigley? 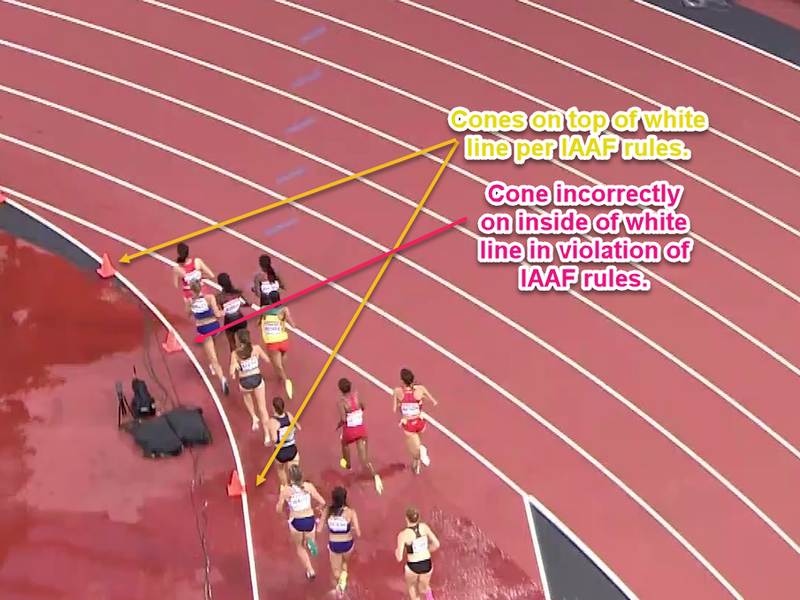 London World Champ Organizers Put Cones Out In Violation Of IAAF Rules Video evidence shows that the cone just prior to where Quigley stepped on the line on the curve was not set up on top of the line per IAAF regulations. Will her DQ be overturned? Interviews: Kori Carter After 400mH Gold Says she wants to run 100m hurdles next year and praises Coach Floreal, who could coach 3/4 of the gold medalists in the hurdles at Worlds. 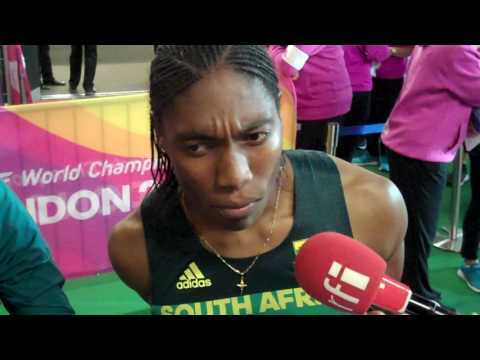 *Ramil Guliyev Says President Erdogan Called Him After He Won 200 Plus see what Wayde Van Niekerk and Isaac Makwala said after upset city in 200. Centro goes home devastated The Olympic champion has shockingly finished last in his heat. White Man wins 200M World Championship Race … Props go out to Ramil Guilyez, who was born in Azerbaijan but competes for Turkey. *IAAF Is Furious Of BBC’s Coverage Of Makwala’s Situation Well, they must be furious with us as well as we think he should have been allowed to run even if he had the norovirus. 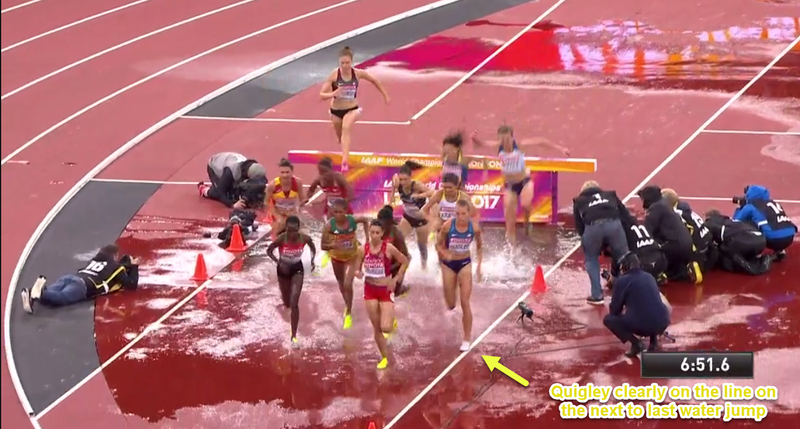 LRC Drama In The Women’s Steeplechase Prelims: Colleen Quigley Gets DQed The IAAF rule book needs to be changed or a rail needs to be built in the steeple as Colleen Quigley and Ezekiel Kemboi have both been DQed in successive years. LRC Men’s 5,000m Prelims: Paul Chelimo Falls And Scrapes By Into Final, A Kenyan Gets Lapped And Eric Jenkins Doesn’t Qualify Recent NCAA stars Patrick Tiernan and Justyn Knight made the final too. Karsten MF Warholm – GOLD medal 400H!! A Norwegian won the 400h. Eugene’s Horrible Weather Pays Off U of O alum Phyllis Francis runs PR FTW in the rain! And wins gold in a HUGE upset as Miller-Uibo didn’t medal and Felix only got bronze. Jenkins???? Damn!! He failed to get out of the 1st round. 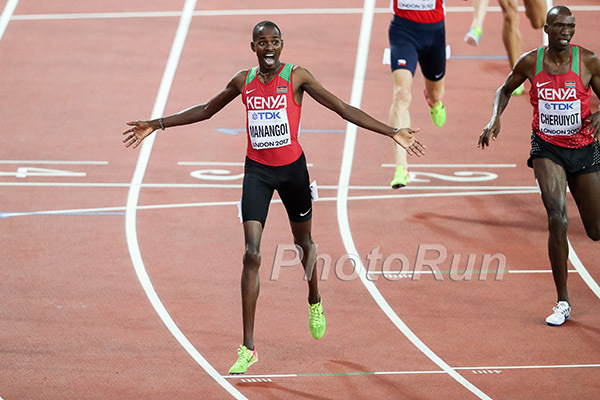 Chelimo fracas in 5000 qualifier He fell and still advanced. 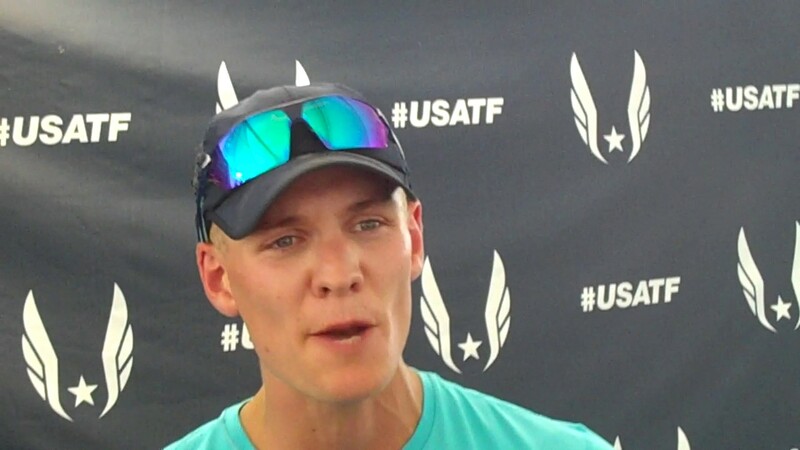 LRC Final American Evan Jager Comes Up Short In Quest For Gold, Settles For America’s 1st-Ever Men’s World Championships Steeple Medal updated with analysis. Post-race video. 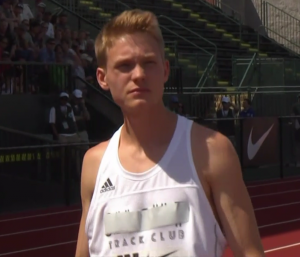 EVAN Jager goes home DevastaTED!!!! Pierre MF Bosse Bosse has shocked the world in the 800. Bett and all of Kenya go home devastated!! 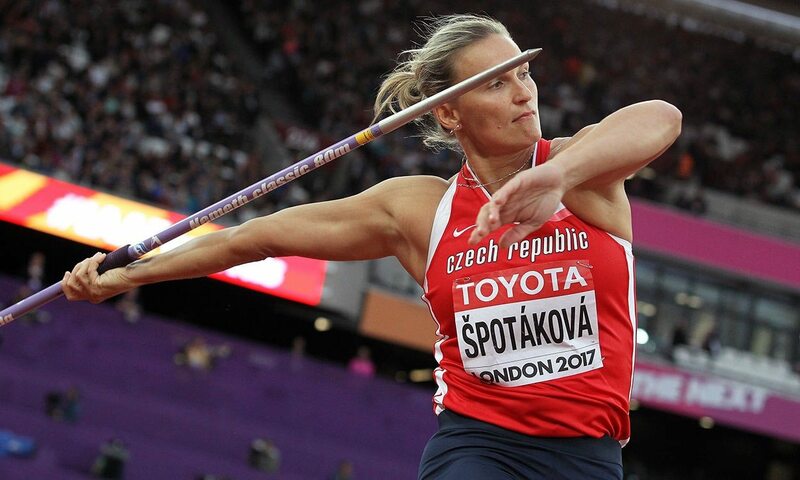 Athletics Weekly: Barbora Spotakova Regains World Javelin Title A Decade Later Spotakova won her first world title in 2007, but hadn’t been on top of the podium at Worlds since. USA’s Dalilah Muhammad And And Kori Carter Advance To 400H Final 2015 World silver medalist Shamier Little was a distant 4th in her heat and didn’t advance. USA’s Deahjah Stevens And Kimberlyn Duncan Advance To 200m Semis Tori Bowie was a DNS and a USATF statement said she was recovering from her fall at the finish line of the 100m. If Allyson Felix Finishes Top 3 In Tomorrow’s 400 Final, She’ll Tie The Record For Most World Championships Medals The record is 14 and held by Usain Bolt and former Jamaican-born Slovenia sprinter Merlene Ottey. AP: Gold For Jamaica’s Omar McLeod As He Does In The 110 Hurdles What His Countryman Couldn’t Do In The 100 McLeod ran 13.04 to win over Russian “neutral” Sergey Shubenkov and Hungary’s Balazs Baji. The USA was shut out of the medals for the first time in Worlds history as Aries Merritt finished 5th. Venezuela’s Yulimar Rojas Dethrones Caterine Ibarguen In Fierce Triple Jump Battle The two exchanged the lead multiple times, but in the end Rojas won by the smallest of margins with 14.91m to Ibarguen’s 14.89. European-Athletics: Anita Wlodarczyk In A Class Of Her Own As London Basks In Her Brilliance Yet another gold for Poland’s consistent hammer thrower as she threw 77.90m to beat China’s Zheng Wang by almost 2 meters. Allyson Felix And Phyllis Francis Advance To Women’s 400m Final US’s Quanera Hayes went out. World Champs Hotel Hit By Norovirus As Athletes Forced To Withdraw Due To Illness Outbreak Multiple athletes from the same hotel, including Botswana’s Isaac Makwala, suffered gastroenteritis. This forced Makwala to withdraw from the 200m. 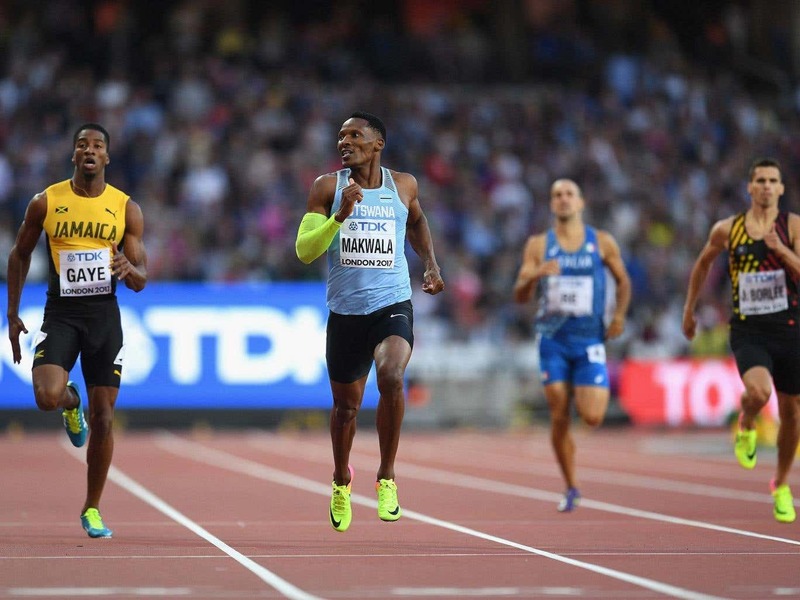 Isaac Makwala Insists He’s Fit To Run The 400 After Illness Forces Him Out Of 200 Heats Apparently he said he warmed up and was ready to run the 200, but IAAF medical officials instructed (forced?) him to withdraw. Ireland 400H Runner Thomas Barr Was Forced To Pull Out Of Worlds With Illness He had made the semifinal, but was hit by gastroenteritis. Reuters: Hotel Says It’s Not To Blame For Athletes’ Stomach Bug Do they think it’s a coincidence that Botswana, German, Canadian, Irish and Puerto Rican athletes staying at the same hotel all got sick? 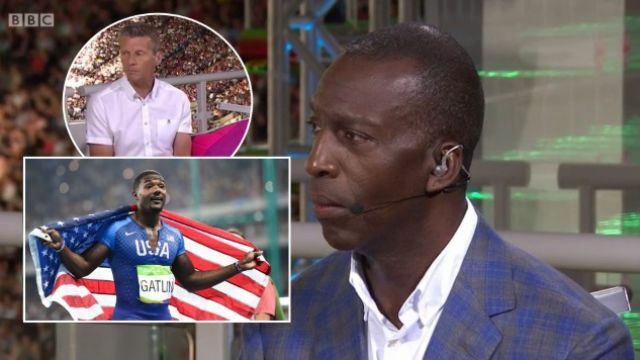 Recommended Watch: Michael Johnson Calls Out Steve Cram Over Failure To Put Spotlight On Drug Cheats Johnson accuses the media of vilifying Gatlin when he’s far from the only past drug cheat still competing in the sport. IAAF Denies 100m Medal Ceremony Was Moved Over Justin Gatlin Boo Fears It was originally supposed to be at 8PM when the stadium would be packed, but was moved to 6:50PM. The Independent: “It’s Not Good Enough For Usain Bolt To Bat Away Doping Questions” Cathal Dennehy wasn’t thrilled by Bolt’s response to a doping question at the 100m press conference. MB: Was Usain Bolt’s stunning loss last night actually a great development for track as it proves Bolt is clean? Mary Keitany Lowers Her Course Record For Repeat Win And Stephen Kosgei Kibet Holds Off Ben True To Reclaim Title At Beach To Beacon 10K Kosgei ran 27:55 to beat True by 1 second while Keitany won comfortably in 30:41 and Shalane Flanagan was the top American in 4th, with an identical 31:14 time as former Olympic champ Meseret Defar. 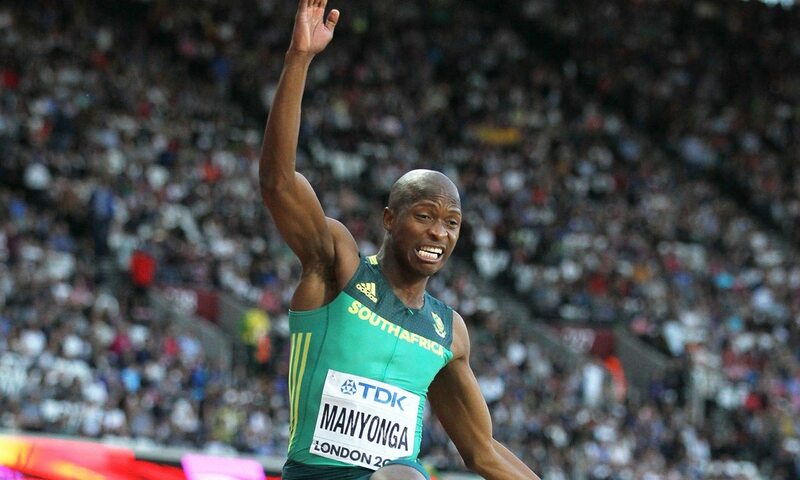 South Africa’s Luvo Manyonga Leaps To Golden Moment In London Long Jump USA’s Jarrion Lawson was a close second, leaping 8.44m to Manyonga’s 8.48m. SA’s Ruswahl Samaai took bronze. 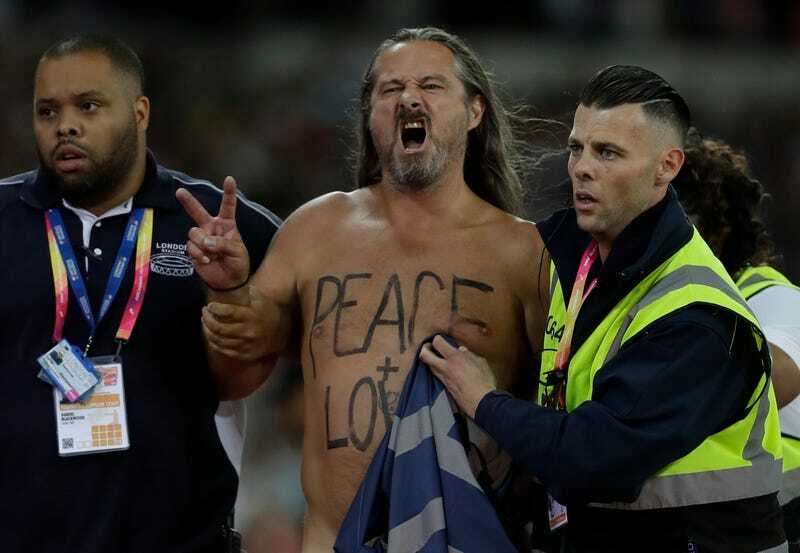 UK Headline: Usain Bolt Beaten In Last Solo Race As Drug Cheat Justin Gatlin Gatecrashes World 100m Final There were boos from the crowd and plenty of disdain from the British media. Katarina Johnson-Thompson’s HJ Flop Hits Heptathlon Medal Hopes She has a 1.98m PR, but only cleared 1.80m. 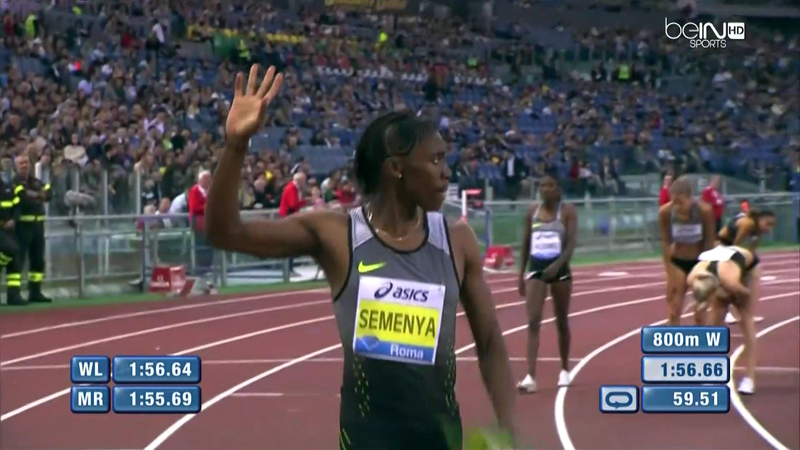 She did bounce back, though, with a quick 200m to put herself in 4th going into the second day. LRC Betting Odds For 2017 IAAF London World Championships In Track And Field / Athletics What American man has the best odds (60%) for gold in a mid-d/distance event? What woman has the best odds at just 9%? Recommended Read: The Allegiance Switching Problem In Track And Field Is Much More Serious Than You Think Ethiopian runner Lily Abdullayev says athletes are “treated like sporting slaves” and talks about how corrupt coaches and officials stole prize money and tricked her into taking dangerous drugs when she switched to Azerbaijan. NCAA Champions And All-Americans Marc Scott, Henry Wynne, MJ Erb And Josh Thompson Sign With KIMbia Athletics Scott and Thompson joined the Bowerman TC, Wynne the Brooks Beasts and Erb a Saucony team coached by Tim Broe. 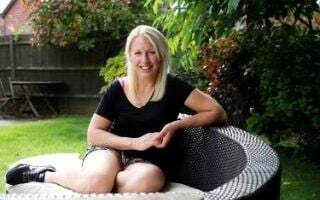 Don’t Quit Your Day Job: The Telegraph: Former British Olympic Badminton Silver Medalist Issues Public Cry For Help As She Admits She Can’t Find A Job Or Pay The Bills Gail Emms says she lacks the credentials to find regular employment (she has a sports science degree) and has to sell belongings on eBay to pay the bills. Kenya Facing Olympic Ban After Government Refuse To Back Plan To Allow NOCK Elections To Take Place Things just wouldn’t feel right if Kenya wasn’t on the brink of being banned for something. IPC President Hopes LA 2028 Will Help Paralympic Movement Grow In The US Paris and LA have both hosted the Olympic twice, but neither has ever hosted a Paralympics. The Netherlands Not Currently Planning 2032 Olympic Bid We’ve barely decided the 2024/2028 hosts and already talk is on to 2032. IOC Payments To LA 2028 To Start By January 1, 2018 THe IOC will send quarterly installments of of $9 million. World 10,000 Form Analysis: Mo Farah And Almaz Ayana What’s the deal with Farah’s head bobbing? The Guardian Writers Share Their Best And Worst Moments From Worlds They also take time at the end to bash the IAAF on what it should be doing better and criticize the decision to go to Doha in 2019. How Many Medals Did 2017 Collegians Win At Worlds? 2017 collegians won six gold medals, six silver and one bronze. Who Were The Best US Distance Coaches At Worlds? In a scored meet, Jerry Schumacher would have had the most “points” with 23. BBC: Why Athletics Is Still Worth Fighting For The writer tries to take away some positives from what he calls a “disappointing Worlds.” Interesting stat: If you scored the meet (not just top 3), GB would have finished 3rd, not far off Kenya. 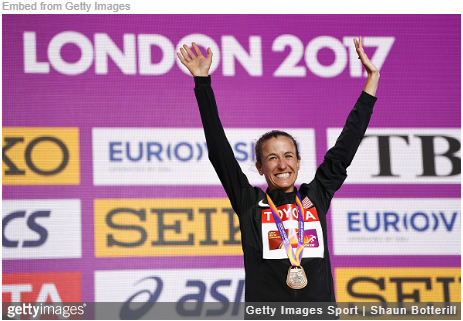 The Guardian: Organizers Claim “London 2017 Has Given Athletics The Opportunity To Believe Again” Officials say high attendance numbers and drama filled races show the sport moving in the right direction. The Independent: Underperforming Irish Face Questions After “Challenging Week” They only managed one athlete in the top 10. Good Read: The Telegraph: Usain Bolt Returned To The London Stadium One Last Time To Make His Bow, But How Will The Sport Move On Without Him? 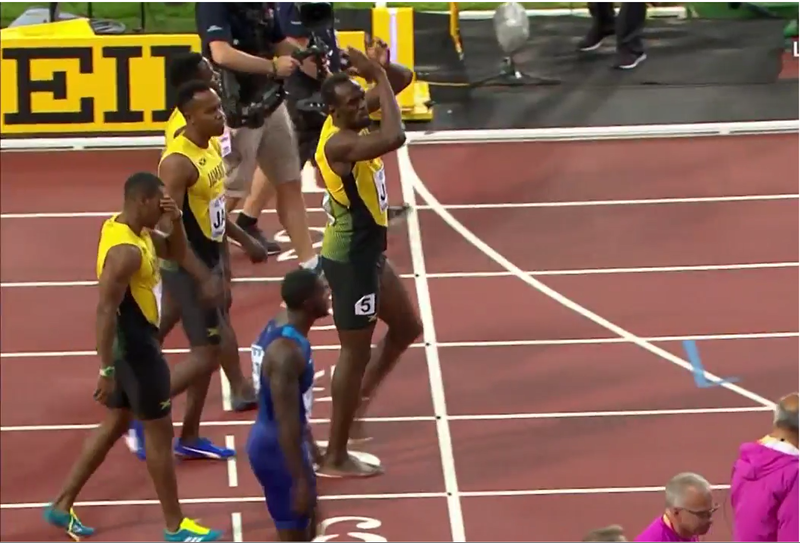 Bolt gave one last goodbye to the crowd and was given a large chunk of the London track. Usain Bolt Believes His Golden Legacy Remains Intact After Worlds Disappointment Bolt says even Muhammad Ali lost his last fight. Bolt Says He Didn’t Care About The Delay Before The 4 X 100, But That Being Held In A Call Room Unable To Stay Warm Contributed To His Injury Bolt also said he was “fine” with going one more year after Rio because the fans wanted it. IAAF: Now Retired, Bolt Excited About The Next Chapter Bolt says he “almost cried” when saying his final goodbye. LRC Final Training Partners Elijah Manangoi And Timothy Cheruiyot Of Kenya Go 1-2 In Men’s 1,500 As Norway’s Filip Ingebristen Snags Bronze The Kenyans have dominated the DL circuit this year and they put on a clinic on how to dominate a World Championships final thanks to a 55 on the second lap. LRC Final Women’s 800: Caster Semenya Remains Unbeatable As Ajee Wilson Fights Hard For Bronze Francine Niyonsaba and Ajee Wilson threw the best challenge at her they could, but in the end Caster Semenya was just too good and took her third world title (fifth global gold) in a PR and NR of 1:55.16. LRC Final Women’s 5,000: Hellen Obiri Takes Down Almaz Ayana To Win Her First World Championships Title The 10,000 WR holder tried to break Obiri early but Obiri unleashed a HUGE kick with 250m to go and won convincingly. 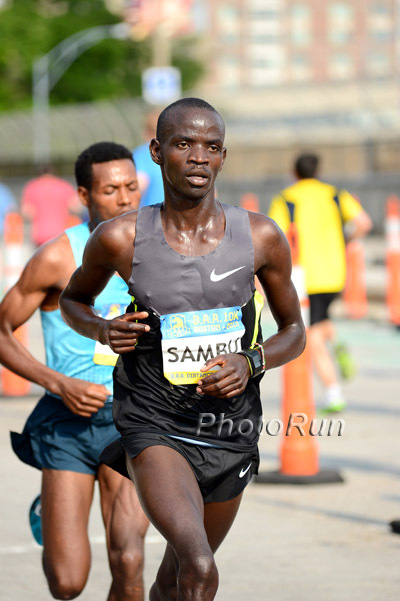 W 5k: Like taking candy from a baby – OBIRI! – BROKE AYANA AGAIN! Ayana led until 300 to go when Obiri blew by her and didn’t look back. M 1,500: ELIJAH MF MANAGOI TOTAL BEAST ASBEL KIPROP GOES HOME DEVESTATED Manangoi beat out teammate Timothy Cheruiyot for gold as Filip Ingebrigsten took bronze. Sally Pearson Wins Shock 100H Gold As Dawn Harper Nelson Gets Silver And WR Holder Keni Harrison Misses The Medals Pearson won in 12.59 while Harrison lost bronze to Germany’s Pamela Dutkiewicz by .02. Maria Lasitskene Wins High Jump Gold For The Russian Neutrals With 2.03m Clearance Lasitskene took three attempts, but was unsuccessful at a would-be NR of 2.08m. It wasn’t a good day for the US as Inika McPherson and Vashti Cunningham were 9th and 10th. France’s Kevin Mayer Wins Gold As For The First Time Since 2011 Someone Not Named Ashton Eaton Is The Decathlon King USA’s former world champ Trey Hardee was a DNF after he fell and got no mark in the 110 hurdles. After Just Missing The Medals In Rio, Germany’s Johannes Vetter Wins World Javelin Title With 89.89m Czech athletes Jakub Vadlejch and Petr Frydrych were 2-3 while #3 all-time Thomas Rohler was 4th. 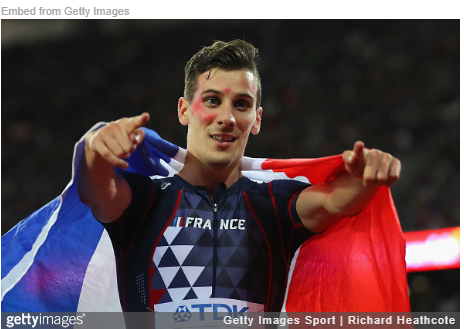 Athletics Weekly: Poland’s Pawel Fadjek Seals World Hammer Hat-Trick In London Fajdek made up for his terrible Rio Olympics by winning his third consecutive world hammer title. After Silver Success In London, Tirunesh Dibaba Trains Sights On Chicago Marathon Dibaba will run her 3rd career marathon in Chicago on October 8th. Results: Colby Alexander (4:00.14) And Hannah Fields (4:30.24) Win West Chester Mile Garrett Heath (4:00.24) and Craig Engels (4:00.62) were a close 2-3. while Fields won over Sarah Sutherland (4:30.50). Jesse Garn ran 1:46.93 to beat Kyle Merber in the elite 800. Russian Racewalker Andrei Krivov To Be Stripped Of 2011 Universiade Gold For Doping Krivov gets a three-year doping ban and loses all his results from May 2011 to July 2013. Norway’s Karsten Warholm Wins 400H Gold Turkey’s Yasmani Copello was second and USA’s Kerron Clement third. Shot Put Gold For China’s Gong Lijiao Lijiao threw 19.94m while Hungary’s Anita Marton took the silver (19.49m) and USA’s Olympic champ Michelle Carter the bronze (19.14m). Ouch: New Zealand’s Tom Walsh Won His World Shot Put Title With A Torn Groin It sounds like Walsh would rather just end his season, but will likely keep going because of the monetary incentives. “There is a long time between drinks, so to speak,” he said. World Champs Men’s Hammer Preview Poland’s Pawel Fajdek is the favorite, but will he choke again like Rio 2016? BBC: Wayde Van Niekerk Storms To 400m Gold In London Van Niekerk ran 43.98 to win handily over Bahamas’ Steven Gardiner (44.41) and Qatar’s Abdalelah Haroun (44.48). NCAA champ Fred Kerley was 7th. Totally Absurd: IAAF/British BARRED Isaac Makwala From Competing In 400 Final Because He Was Sick Public Health Britain recommends that someone with norovirus be isolated for 48 hours after diarrhea. It’s only a recommendation – not law. Botswana Federation Bashes IAAF For Lack Of Communication They also claim “no medical tests” were conducted, just “generalized assumptions” based on “one symptom.” It’s also worth noting that a German TJer despite her illness. LRC Final: Women’s 1,500: Faith Kipyegon Wins Another Gold Title As Jenny Simpson Beats Caster Semenya To Nab Her Fourth Global 1,500 Medal updated A thrilling final sprint saw a five-way battle for the medals as Kipyegon just held onto the gold with Simpson timing her kick perfectly to grab silver over Semenya. GB’s Laura Muir and world leader Sifan Hassan both ran out of gas after starting their kicks too soon and finished in 4th and 5th. 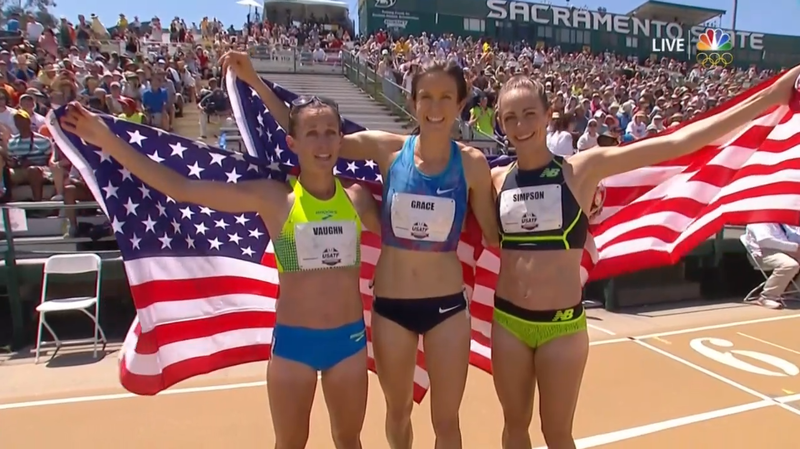 *LRC Women’s 1,500 Post-Race Video Interviews Hear from Kipyegon, Simpson, Semenya and Muir. When Will Faith Kipyegon Get Some REAL Love on These Boards? Dibaba DFL / Why has G. DIbaba’s fitness deteriorated so much in past 2 years? Daily Nation: “Kipyegon Bett Safe Bet For 800m Medal” Bett says he’s actually more concerned about Poland’s Adam Kszczot than Nijel Amos or Mo Aman. LRC Worlds Day 3: Tori Bowie Wins 100 To Complete US Sweep As Joe Kovacs (Shot Put) & Sandi Morris (Pole Vault) Earn Silver Anything can happen in sport as it was a rough day for the two US men who entered World undefeated on the year as Ryan Crouser didn’t medal in the shot and Sam Kendricks needed a third attempt final to make the PV final. *MB: Was Joe Kovacs robbed of world title? Was his last throw really a foul? LRC Men’s 800: Carnage In The Semifinals Sets Up A Wild Final On Tuesday; With Emmanuel Korir Out, Who Is The Favorite? None of the Americans made the final as Donavan Brazier knew he let a great opportunity get away. Katerina Stefanidi A Class Apart To Take World Pole Vault Title It was a top two repeat from Rio as Stefanidi cleared 4.91m to beat out USA’s Sandi Morris (4.75m). Athletics Weekly: Nafissatou Thiam Rises To The Occasion To Win World Heptathlon Gold Thiam adds World gold to her Olympic win from Rio as she beat Germany’s Carolin Schafer by a healthy 112 points. GB’s Katarina Johnson-Thompson Misses Out On Heptathlon Medal After 5th-Place Finish A terrible high jump (her favorite event) cost her a shot at a medal. LRC Joshua Cheptegei Is Primed To Succeed Gebrselassie, Bekele And Farah As The World’s Next Great 10,000-Meter Runner The Ugandan turned heads first at World XC and now looks to be Farah’s successor. Women’s 1,500 Heats: LRC All 3 Americans (Including Sara Vaughn With A PR) And 4 Brits Move On In The Best Opening Round Women’s 1,500 In History The women brought it today as 17 of the top 20 seeds moved on. Joshua Cheptegei 26:49 for Silver @ age 20! Mo Farah stepped off the track, will he be DQ’d? 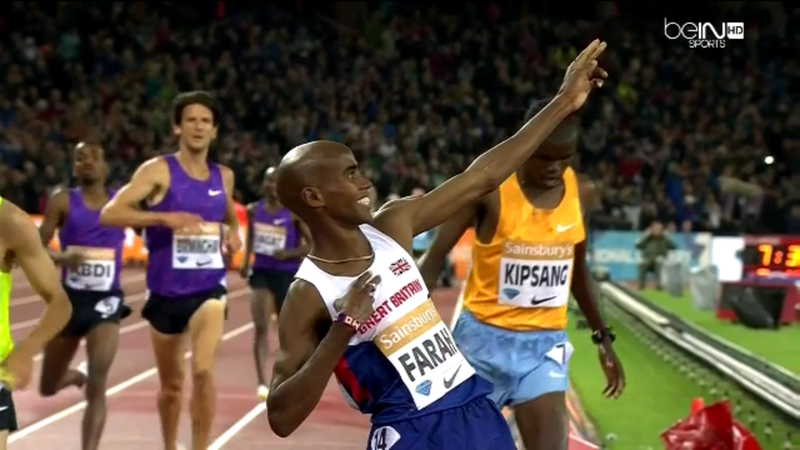 Did Mo Farah Just LOSE the 5000m? 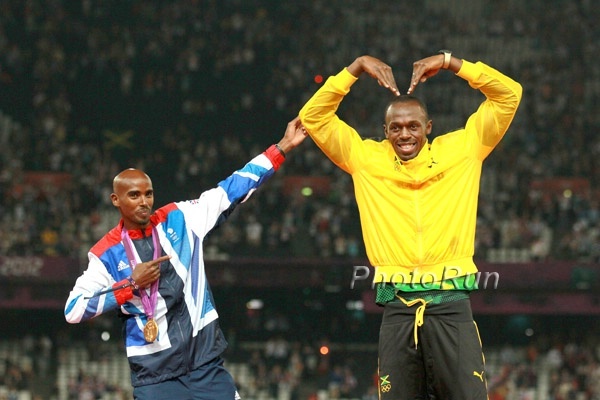 Can Mo Farah Finally Get Outed as a Doper? What happened to Pat Tiernan He was lapped. Pre-Race: Kamwo – Grind the MoFo into the dust !!! Recommended Read: The Guardian: Inside The Doping Hotspot Of Ethiopia: Dodgy Testing And EPO Over The Counter A joint investigation by The Guardian and German broadcaster ARD looks into how easy it is to get EPO in Ethiopia, the disorganization of Ethiopia anti-doping and gets a former Berlin Marathon winner (who is still active) to admit to EPO/HGH use. MB: Unidentified Female Berlin Marathon Champ Admits To EPO And HGH Use The athlete caught on tape wasn’t named, but has to be either Aberu Kebede (2016 and 2012 Berlin champ), Tirifi Tsegaye (2014), or Atsede Habtamu (2009). ARD: How To Sell Africa’s Sports Heroes The article is in German, but you can watch an English version of the 30-minute broadcast here. Ukrainian Sprinters Olesya Povkh And Olha Zemlyak Register The First Failed Drug Tests Of World Champs Povkh (a former Olympic and Worlds relay medalist) was entered in the 100 and 4 x 100 while Zemlyak was in the 400 and 4 x 400. Russia Apologize For Doping Scandal But IAAF Vote Overwhelmingly To Keep Ban In Place Many were surprised by the sincerity of Russian Athletics president Dmitry Shlyakhtin‘s apology speech, but only 21 of the 166 federations voted to reinstate them. *Hey Jamaica, What Gives? Jamaica Was Among The 21 Countries To Vote In Favor Of Reinstating Russia This after Jamaica was one of the only countries not to support Seb Coe‘s IAAF reform package eight months ago. Suspicious Betting Activity Joins Doping As Target For Athletics Integrity Unit Anything tennis can do, we can do better. Full Video From IAAF Council Meeting Press Conference IAAF officials including Seb Coe discuss issues including the continuation of Russia’s ban. *Greatest American Distance Runners: 1) Billy Mills, 2) Alan Webb. 3) ? 4) ? 5) ? 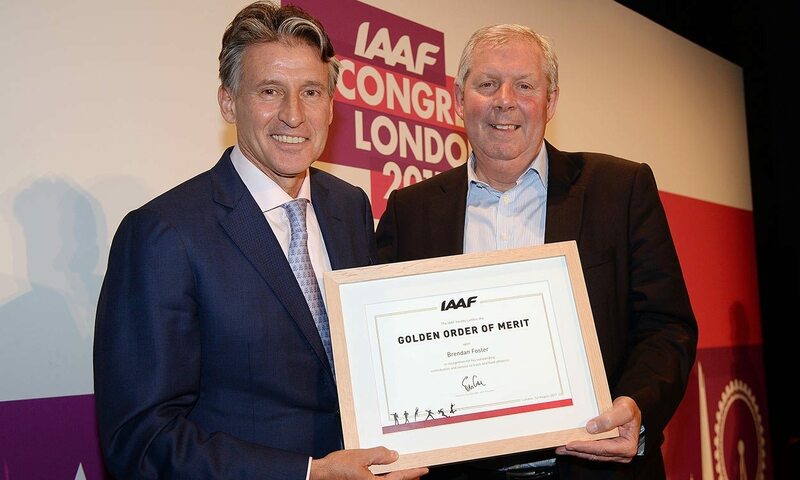 The Evening Standard: Mo Farah Splits With “Right Hand Man” Barry Fudge After Falling Out Fudge, the head of UK’s distance program, has apparently been handling a lot of Farah’s training, but Farah is now reportedly working with British endurance coach David Harmer. *MB: So Drama Queen Mohammed Farah splits with “Right Hand Man”? Mo Farah’s Former Training Partner Was Filmed Buying EPO In ARD’s And The Sunday Times’ Investigation In Kenya Last Year Farah used to train in Kenya before he moved on to Ethiopia and apparent doper “Freddie” Lemishen Ngoyoni was his training partner for 2013 and 2014. 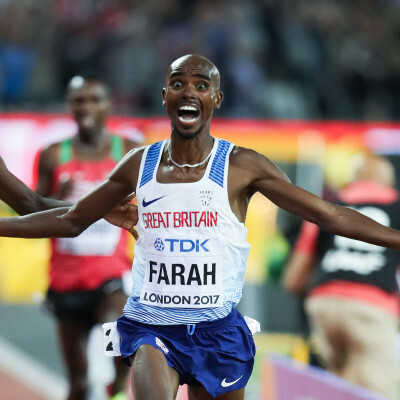 Good Read: Athletics Weekly Does Nice Analysis On How Mo Farah Lost His Last 5,000m Farah complained of Ethiopian team tactics, but Edris’ last 200, 400, 1,000 and 3,000 splits were just as good as anything Farah’s ever done when he won previous Worlds. The Telegraph: Mo Farah Reclaims The “Mobot” On Top Of The London Eye In Emotional Farewell The writer bashes Muktar Edris for having “the audacity” to celebrate with the “Mobot” after winning the 5000. Reuters: Trinidad And Tobago Deny USA A Seventh Successive Men’s 4 X 400 World Title The US hadn’t lost at Worlds since 2003, but Trinidad and Tobago’s Lalonde Gordon overhauled Fred Kerley on the final straight to win in a world-leading 2:58.12 to USA’s 2:58.61. 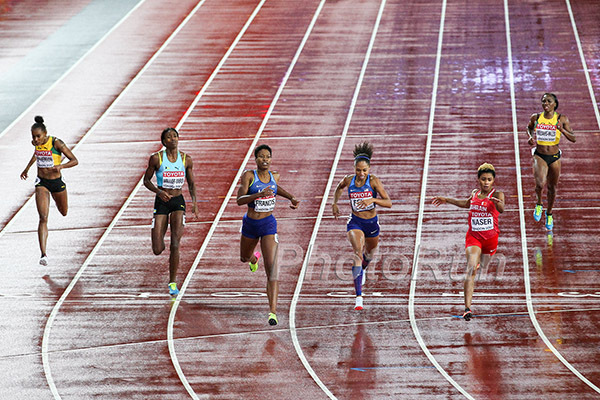 AP: Banner Worlds For Allyson Felix As She Leads USA To A Record Margin Of Victory In The Women’s 4 X 400 With Jamaica a DNF, this was USA’s race to dominate as they won by 5.98-seconds over the UK and Poland. This gives Felix her 11th career world gold, putting her tied with Usain Bolt for the most. Mutaz Essa Barshim Clears 2.35m To Stay Undefeated In 2017 And Take World High Jump Gold Barshim faced a small challenge from 20-year-old Russian neutral Danil Lysenko who cleared 2.32m for silver. Team USATF Superlatives From London 2017 There were a lot of “firsts” and records for Team USA, including Justin Gatlin‘s record as the oldest man (he’s 35) to ever win 100m gold. 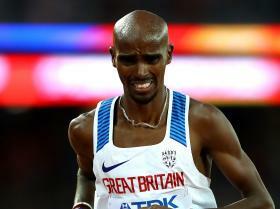 LRC Final The Upsets Continue: Mo Farah Is Beaten In Men’s 5,000 At Worlds – Muktar Edris Dethrones The King The King has been dethroned in a tactical 5,000. Paul Chelimo takes bronze. Edris ran his last 4 laps in about 3:57.6 – (63.7, 62.4, 58.1, 52.4). LRC Analysis: How Did Muktar Edris Beat Mo Farah? Farah thought the Ethiopians had the team tactic to sacrifice Kajelcha, Edris said that wasn’t the case, and no matter what it was, Edris closed in 52.3, which is hard to beat. 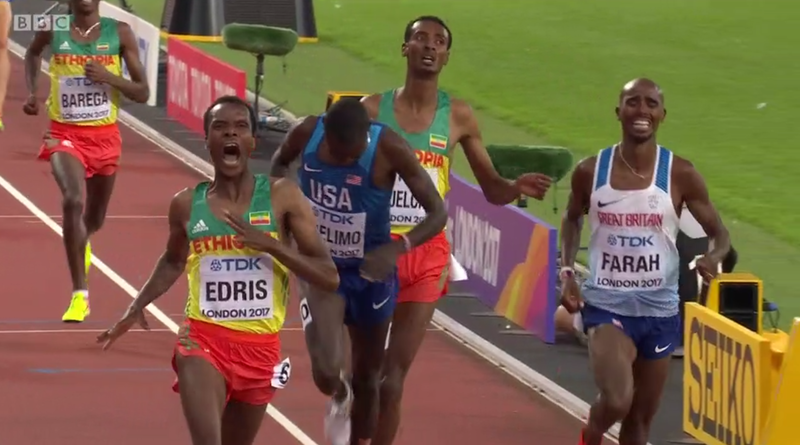 *2nd Article Muktar Edris also did the “Mobot” as he won, but said it was out of respect for Farah. 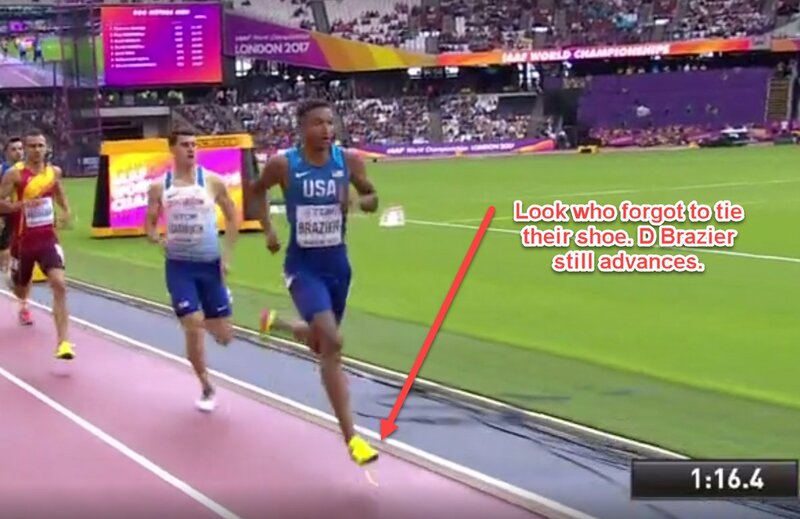 Did Mo Farah Just LOSE the 5000m? Message board poster wondered last week if the tough 10k would cost Farah in the 5k. 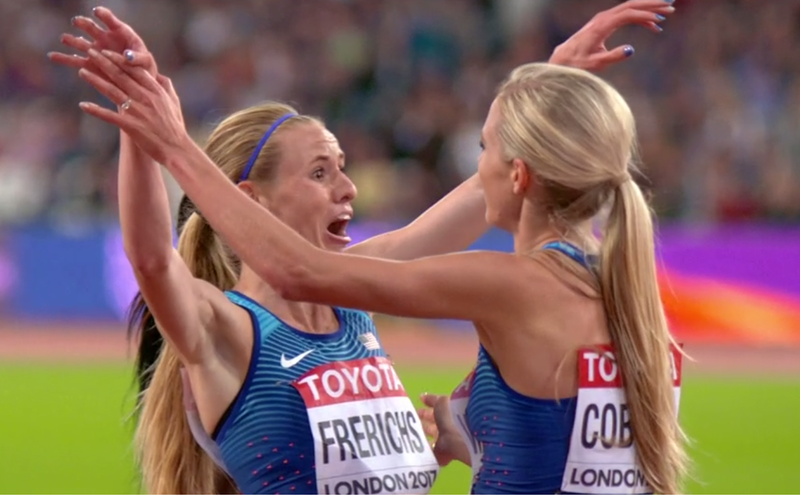 UNBELIEVABLE LRC Final Americans Emma Coburn And Courtney Frerichs Pull Off Incomprehensible Upset And Go 1-2 In Women’s Steeple In a shocking upset on a scale not seen in American distance circles since perhaps when Billy Mills won Olympic gold in the 10,000 in 1964, Americans Emma Coburn and Courtney Frerichs won gold and silver in the women’s steeplechase tonight at the 2017 IAAF World Championships. *MB: Courtney Frerichs gets 2nd!!!! *MB: IMAGINE IF QUIGLEY HADNT OF BEEN DQ’D! 1-2-3!! Athletics Weekly: Dafne Schippers Strikes Gold Again, Defending Her 200m Crown In 22.05 Marie-Josée Ta Lou followed up her 100m runner-up with another silver and Shaunae Miller-Uibo got some redemption from the 400 by taking bronze. GB’s Diana Asher-Smith just missed in 4th. Dawn Harper Nelson Leads 4 Americans Into Women’s 100 Hurdles Final Harper-Nelson was the fastest American of the day taking her heat in 12.63 while Sally Pearson had the fastest time overall in the first heat (12.53). LRC 2017 Worlds Official Friday Discussion Thread – M1,500 Semis, W800 Semis, WSteeple Final Emma Coburn goes for a medal – plus there’s Dafne Schippers vs. Shaunae Miller-Uibo in the women’s 200 final. LRC Friday At Worlds Podcast – Centro Is Out, Quigley Is Out And More We get you ready for the final weekend of action. 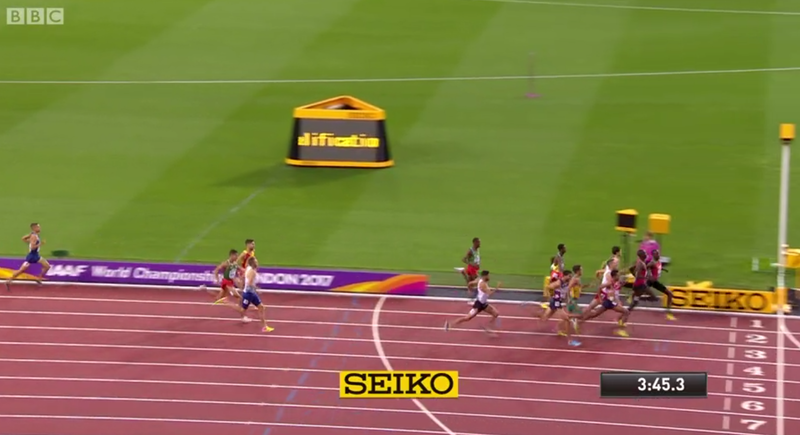 LRC Olympic Champion Matthew Centrowitz Eliminated In 1st Round Of 1,500 At 2017 World Champs Centro had nothing in the kick for home and was eliminated. LRC Men’s 1,500 Heats: Asbel Kiprop Looks Great, Ronald Kwemoi Struggle And Robby Andrews And Johnny Gregorek Move On If you think heats are boring, then you shouldn’t be on this website. 2,000+ words of analysis. LRC Final Three For Three: All Three Americans Advance To Women’s 5,000 Final At 2017 IAAF World Championships Updated with interviews. Plus Brits Laura Muir and Eilish McColgan are in as well. Muir and Shannon Rowbury said they are still eyeing the podium. LRC Women’s 800 Heats: The Stars Look Great & All Three Americans Advance After Brenda Martinez Survives A Scare Ajee Wilson and Charlene Lipsey qualified with ease. The Telegraph: “Turkey’s Ramil Guliyev Upstages Wayde Van Niekerk And Isaac Makwala To Win 200m Gold” Guliyev ran 20.09 to beat van Niekerk and Trinidad and Tobago’s Jareem Richards by .02 (they were both clocked at 20.11). Wayde Van Niekerk Feels “Disrespected” By Isaac Makwala Makwala accused the IAAF of keeping him from the 400 to pave the way for van Niekerk to take gold. Athletics Weekly: Kori Carter Leads US One-Two In 400H As She Beats Out Olympic Champ Dalilah Muhammad For Gold Jamaica’s Ristananna Tracey was 3rd. 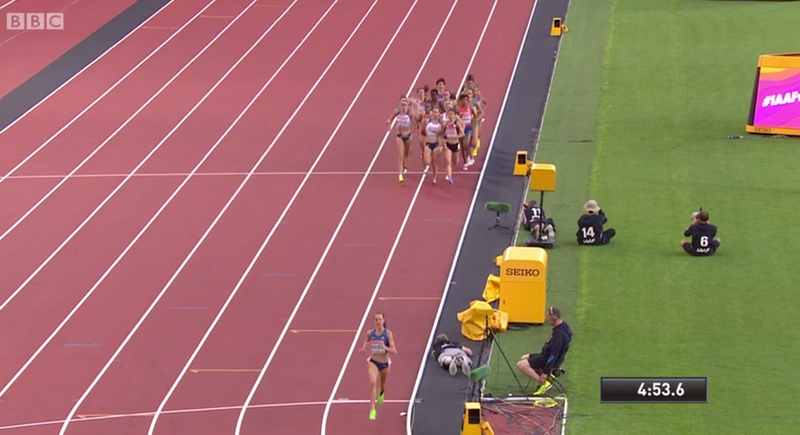 The Telegraph: Laura Muir Edges Through In 5,000 While Diana Asher-Smith Qualifies For 200 Final Muir did not look good as she only got in on time and crumpled to the track for a minute after running a 14:59 PB. Athletics Weekly: Christian Taylor Completes World Triple Jump Treble It was his third World and fifth global gold. Will Claye was a close second with 17.63m to Taylor’s 17.68m. Ethiopian Athletes Robbed In London The hotel attendants stole money and other property from athletes, including Tirunesh and Genzebe Dibaba. IAAF Profile: After Beating Her Heroes, Bahrain’s Salwa Eid Naser Lives Her Teenage Dreams Naser shocked everyone by beating out Allyson Felix and Shaunae Miller-Uibo to take 400m silver. Shaunae Miller-Uibo Blames Breakdown At End Of 400 Final On Loss Of Concentration She says she looked up at the jumbotron and lost her balance. Craig Engels’ Mullett Is No More Engels chopped off his hair for charity. Crazy Video: Police Hunt For Jogger Who Knocked A Woman In Front Of A London Bus The woman was only saved by a very fast reaction from the bus driver to swerve out of the way. USA Today: Paris Open To Esports On 2024 Olympic Program And yes, “esports” are video games. RW Safety Tips: There Will Be A Total Solar Eclipse On August 21st There hasn’t been one in the US for 38 years. Team USA Win Three Silvers (Two Team, One Individual) At World Long Distance Mountain Running Champs 32K in the mountains in Italy. Man Attacked By A Hawk On His Run Andy Llewellyn was on a run near Chellaston, England when the bird put two huge gashes in the top of his head. AP: “Army Reservist Sam Kendricks Wins World Pole Vault Gold” Kendricks cleared 5.95m to beat out Poland’s Piotr Lisek (5.89m) and Renaud Lavillenie (5.89m). Lavillenie lost on countback, but gets props for going for the win rather than the silver as he raised his last jump to 6.01m to go for gold. Defending Champ Shawn Barber Crashes Out Of Pole Vault Final As Canada’s Medal Hopes Dwindle After a year of injuries and illness, Barber could only manage 8th. Canada won 6 medals in Rio and 8 at 2015 Worlds, but might leave London with none. LRC Final Amy Cragg Ends America’s 34-Year Medal Drought In The Women’s Marathon At Worlds By Snagging A Surprising Bronze In London What a run for the 33-year-old. 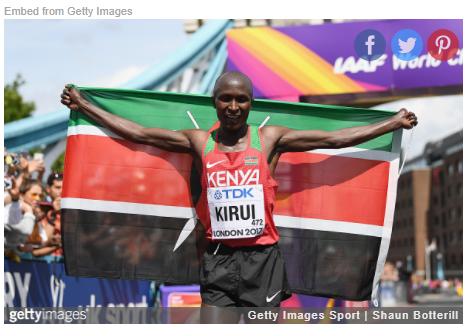 LRC Final Men’s Marathon: Kenya’s Geoffrey Kirui Follows Up Boston Victory By Winning 2017 World Title Marathon’s got a new star and his name is Geoffrey Kirui. *MB: World Championship Marathon late start times, does it advantage the Africans. LRC Former NCAA Champ Bobby Curtis Announces He’s Retiring At The End Of The Year He’ll end his career with PRs of 13:18, 27:24 and 2:11:20. LRC Men’s Steeple Prelims: Conseslus Kipruto Reveals He’s Run One Track Session Since June; Evan Jager Leads All Qualifiers Jager looked good even if he was sporting a goatee he plans to shave. *Running Warehouse Prediction Contest Scores Updated Through Men’s Marathon Boston champ Geoffrey Kirui has won. A husband of a US Pro is leading the way in the contest. LRC Justin Gatlin Steals The Show In Usain Bolt’s Final 100M Race To Win 2017 World Title At Age 35 Usain Bolt did the unthinkable once again – he lost. We put in perspective. LRC Final (updated) Almaz Ayana Laps Nearly The Entire Field To Win Gold In The Women’s 10,000 In One of The Finest Displays In Women’s Distance Running History The Chinese level of distance running is now the reality. Updated with comments from Molly Huddle, Emily Infeld and Emily Sisson. Mason Finley Of USA Talks About Getting Historic Bronze It’s not easy being a discus thrower full-time as he lives at home with his mom to save money. Recommended Read: IAAF Profile: After Nightmare At World XC, Joshua Cheptegei Lives London Dream At World XC, Cheptegei had a 7-second lead with 1,000m to go, but cratered and finished 30th. Now he’s a Worlds silver medalist. Mo Ahmed Sets Canadian 10K Record With 27:02 For 8th He broke Cam Levins‘ 27:07 mark from 2015. Q&A With Daniel Winn On Pacing Robby Andrews To The World Standard, The Rewards Of Rabbiting And His Training Partner Chris O’Hare Winn shares some insights into the rabbiting experience and what it pays. Craig Engels Is Cutting His Mullet For Charity He’s raised $1,865 of his $2,000 goal. Follow the haircut live on Engels’ Instagram account. Oscar Pistorius Taken To Hospital With Chest Pains Pistorius is currently serving a 6-year jail sentence, but his case is not completely over as prosecutors are appealing for more jail time. Kayla David Earns USATF Athlete Of The Week Award After Record-Breaking Performance At Junior Olympics Davis became the fastest 13-year-old girl in history by winning the 400m in 52.54. The Telegraph: Furious Backlash Forces Athletics Chiefs To Abandon Plans To Scrap Pre-2005 WRs There is a new proposal to scrap WRs that came before 1991, when out-of-competition testing started. The new cutoff would scrap the records of FloJo (100/200), Marita Koch (400) and Jarmila Kratochvilova (800). *Paula Radcliffe Relieved Her Record Is Safe, But Still Opposed To New 1991 Proposal She would rather see records individually investigated. WADA Says Russia Must Fulfill At Least 12 More Criteria Before They Can Be Ruled Compliant Among the criteria is that the Russian government must publicly accept the findings of the McLaren investigation. Russia Bans Six More Athletes On Eve Of Appeal To Have IAAF Suspension Lifted Among the banned is steepler Lyubov Kharlamova, who will have all her results since July 2010 (including a Euro silver medal) annulled. CBC: Should Track And Field Erase Its Record Book? Infamous BALCO scandal drug expert Victor Conte actually supported the record reset.